There are many variables involved in cash flow for a construction contractor. (In the previous blog post of this series, we analyzed some specific cash flow problems and how to address them in your business. You can read those two blogs here and here.) 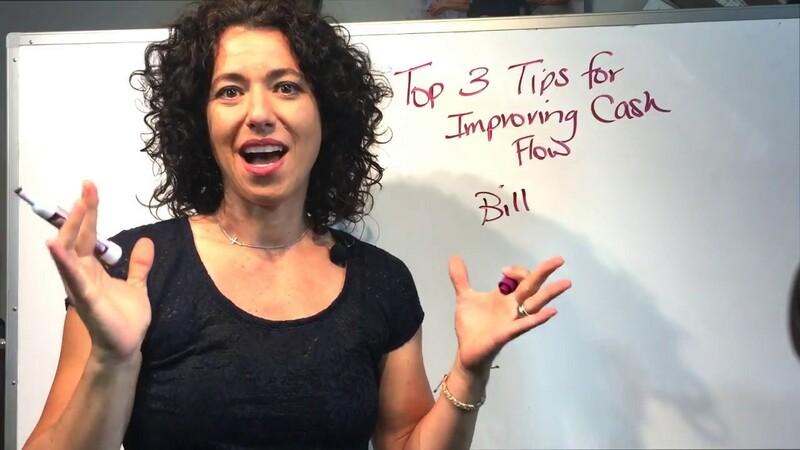 Now we want to share our top three tips to improve cash flow. This is one of those things that seems so obvious, but you’d be surprised at how many contractors don’t bill their customer. It happens. It’s not intentional; people just get busy and forget, as with many things in life. To ensure this doesn’t happen in your business, put a consistent billing schedule in place. Bill the same day every week, the same week every month — whatever it takes to keep the bills going out and the cash coming in. It seems like we keep seeing the number of days in collections extending out more and more — yet our vendors and suppliers don’t want to be paid in any longer terms. As an example, you may be collecting from customers in 60 days, but paying your vendors in 30 days. The goal in timing is to close this gap, so that when we get paid, we pay. Closing the gap is a gradual process that doesn’t happen overnight; it takes conversations and building relationship with both parties. When you can control the timing, you can increase your cash flow. If your timing is off, you end up financing the project, or financing your vendors and subs. Having a relationship with your banker, both in good times and bad, makes cash flow easier to handle. Your banker can be your friend when something is off, whether it’s your timing or billing. Work toward consistently developing this relationship; keep the communication lines open and provide them information regularly. Grab a coffee or go to lunch with your banker. Trust us, it makes a difference! Forecasting cash can actually be pretty simple. Essentially, it helps you see what you’re going to collect and what you’re going to pay. Cash forecasting greatly reduces your stress and might even help you sleep better at night — especially when payroll is just around the corner. If you haven’t had experience in cash forecasting before, we recommend checking out our video series that covers this topic.